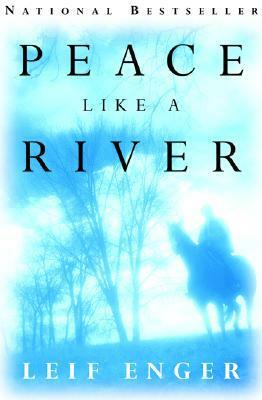 Peace Like a River was one of those books that had been sitting on my virtual to-read shelf for months and months and probably would have gone on sitting there for months and months to come if not for my dear friend, Sarah. One of her goals for 2013 was to actually read some of those books that she's been intending to read for a long time. 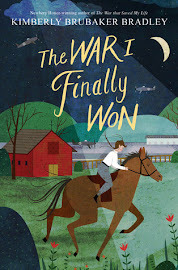 She assigned one such book to every month this year, and when I saw that Peace Like a River was her book for February, I knew it was time for me to read it, too. Nothing motivates me like knowing I'll have someone to discuss the book with when I'm finished. And what's even better than one friend to share thoughts with? How about a whole roomful of friends? I thought as long as I was reading it, maybe the other women in my book club would want to read it, too. Happily, they did. So now here I am at the beginning of April. I've read the book. I've thought about and pondered it. I've discussed and argued and talked about it. I've listened to the viewpoints and interpretations of others. And after all that, I still don't know what I actually think about it. So now I'm writing about it. We'll see where that takes me. Soon into the story, trouble arrives for the Land family. Two punk teenagers harass Davey's girlfriend in the girls' locker room. Jeremiah saves her, but the two boys swear the Land family hasn't seen the last of them. The incident particularly angers Davey, and he wants to see justice done. There are a couple other run-ins with the boys, and then one night, they enter the Land home, and Davey shoots and kills both of them (I promise that isn't a spoiler!). Davey eventually breaks out of jail and Reuben, Swede, and Jeremiah set out to try to find him. The story is rich with family love, miracles, and ultimate sacrifices. It is both thought-provoking and emotionally moving. The book is well worth reading if only to get lost in some really great writing. I was especially impressed with Reuben Land as the narrator. I don't think he ever says how old he is in the present, but I'm guessing 30s or 40s. However, for much of the book he is relaying the thought processes and activities and concerns of himself as an 11-year-old boy. Somehow Leif Enger captured both the man Reuben and the boy Reuben perfectly. So perfectly, in fact, that I kept wondering, Is Reuben Land really Leif Enger? If I met Leif Enger today, would I feel like I was meeting Reuben Land? Could Leif Enger create a totally different character and make him as believably real as he made Reuben Land? I've wondered this with other authors as well: how do you get inside another person's head (even if they are fictional) so perfectly unless that person is you? I read a very timely blog post of Shannon Hale's just this afternoon that addressed the complexities of narration; even though she mainly touches on narration from a third-person perspective, and this is obviously written in first-person, I still found it very enlightening. But really, what I'm trying to say is that I am in awe of authors who can create characters who are so convincing as to leave me skeptical that (a) I'm reading fiction and (b) this isn't their own personality reincarnated. Bravo, Mr. Enger, and well done. Speaking of fiction, the spiritual/religious side of the book was difficult for me to accept, not because I am not spiritual or religious, but because it was fiction. Does that make sense? Jeremiah Land is a deeply spiritual character. (At book club, one of my friends pointed out that he is a Christ figure...I wish I'd been more aware of this when I was reading it so I could have picked up on all the symbolism.) He is the recipient or perpetrator of several miracles throughout the story: saving Reuben's life as an infant, walking on air as he is praying, driving invisible through a town laden with cops on the lookout for him, to name just a few. At first, these "miracles" really bothered me because they weren't based on actual events. Somehow it's so much harder (for me at least) to accept miracles in realistic fiction because my brain tells me, The author just made that up. But midway through the story, my reservations dissolved--partly because I realized the Jeremiah Lands of the world are real (I think we all probably know one or two--someone for whom heaven seems near and miracles happen as easily and as often as setting the table) and also because I was so engrossed in the story and the characters were so believable that the miracles didn't seem so far-fetched or just a figment of the author's imagination. There were several really great characters in this novel. I already talked about Reuben, but my personal favorite was actually Roxanna. I loved her so much: her work ethic and compassion and loyalty. I loved the way her love for Reuben's family changed them but also the way their love changed her and really made her blossom, both physically and emotionally. Okay, so, up until the ending, I really liked this book. And then, Waltzer popped up out of nowhere, shot Reuben and Jeremiah, and Davey took off to Canada. Hmmmm. Wow. Not what I was expecting. Was I expecting the novel to end happily ever after? No. I think it was pretty obvious from the beginning that it was destined to have an ending that hurt. So it wasn't the sadness per se that bothered me. I actually thought Reuben's death experience was told in a beautiful way, and Jeremiah's ultimate sacrifice seemed so fitting and appropriate. No, what bothered me about the whole thing was Davey. I don't know what I wanted or expected. It's not like I wanted him to have to spend his life in jail, but I also thought he needed to face up to his own actions. From the beginning, I thought Reuben painted him as a loyal and kind brother but also as someone who was tough, independent, strong-willed, and manly. But then in the end, he hid in the back of the car and then slunk off to Canada. Maybe he wasn't ever going to feel any remorse for shooting Finch and Basca, but to not feel any guilt over his father's death and brother's near death? What kind of a man was he? This is the part of the book that no matter how I think about it, I can't figure it out, especially as it relates to the title. Where is the peace in ruining the lives of your family and spending your days as a fugitive? Any thoughts on this? As I was reading (or listening, rather), there were a few lines that really caught my attention because they summed up some aspect of the book for me. The first one came after Reuben found out that the family friend, August Schultz, gave Davey his old car even though he and his wife asked Davey to turn himself in. Reuben asked himself, "Could a person believe so strongly one way, yet take the opposite route?" To me, this idea guided a large portion of the book: Reuben and his family love Davey...fiercely, loyally. All three of them (Reuben, Swede, and Jeremiah) have their own inward struggle trying to decide how far they can go in the opposite direction of what they believe. Reuben realizes his own limit the night Andreeson goes missing. The second line was given by Waltzer, a character who, by the way, creeped me out like no one else. One night when Reuben was visiting Davey, Waltzer said: "So you can win the battle, Reuben, but the war is lost long ago." This bothered Reuben terribly, probably in part because he had a slight premonition of events to come, but also because I think he could see some truth in it in his own life: his mother left the family because she couldn't face the battle of failure, but she had already lost the war of motherhood. Davey won the battle against Finch and Basca but lost peace and happiness for the rest of his life. Waltzer meant it in a sick way, so maybe I'm reading too much into it, but I think it often happens that the things we focus our energies on (i.e., the battles we choose to win) don't really matter when we look at the big picture. The third line that stood out to me came when Swede finally forgave Reuben for not telling her what he knew about Davey. He said, "Fair is whatever God wants to do." A large portion of this book centered on faith, and I think that statement describes faith pretty well: you acknowledge that what you want and what the Lord wants may be different but that ultimately, whatever He decides is fair (it may take years to see the fairness in some events, but that's part of faith, too). This was perhaps the essence of Jeremiah Land's life: he displayed firm and stalwart faith and lived his life quietly and with dignity. The book is full of other themes, some more obvious than these, some less. But I wanted to highlight these three, well, first, because I actually took the time to stop listening and transcribe them, but second, because I wanted to show in a small way how rich and full of meaning this novel was. It's one that I could talk and write about for hours, and there would still be more to talk and write about. I love a book that ends with questions--not in the pending sequel sort of way but in the mull-this-over-in-my-brain way. One of my reading goals for the year is to "Read and reread a book." I've been keeping a running list in my head of books I've read this year that would be worth rereading this same year. There are only three so far, and this is one of them. Oh, Davey. I have been anxiously awaiting this post! Hooray! It's interesting how different people view things that happen in a book. It's one of the reasons I love book clubs. I think this was pretty nearly a 10 for me throughout but the ending really solidified that for me. My thoughts on Davey: I think that when there is a particularly wise parent in literature sometimes a cloud of sunshine surrounds them and their children and it's hard to see any wrong in any of them. I'm not saying that this is what you did- but what I tend to do. However, although I loved the character of Davey I thought that he took the cowardly route through most of the book. Even though he was defending his family I think that murder is the cowardly way out as opposed to the attitude that Jeremiah took. Davey was selfish and prideful. Davey was tricky because often his words made him seem courageous but his actions almost always betrayed his inner cowardice (in my opinion). I wish we had talked more about Davey now. I hadn't really thought about him much in the end- I guess because his actions seemed to follow what he had done throughout the book for me. I was so focused on Reuben and Jeremiah... I'm glad you pointed it out. P.S. If you're going to link to me I'm going to have to actually start blogging, arghhh. Yes, we definitely should have talked about Davey because now, just reading through your comment, I already like the ending better. Now that you've pointed out some of Davey's cowardice and selfishness, I can totally see it, so his actions in the end make more sense and don't seem as out of the blue as I originally thought. I thought Enger did a great job of making Davey likable while still giving him a multitude of flaws. P.S. That was my clever plan! This book it on my top five of all time. It's way up there. 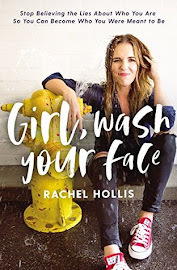 I totally love this book for many of the reasons you just mentioned. I've read it twice and now after reading this post, I'm thinking I might even read it a third time. It's a story you never forget. I'm glad you liked it. Wasn't the writing just beautiful? Jill- I think you're actually the reason I had this on my to-read list to begin with! 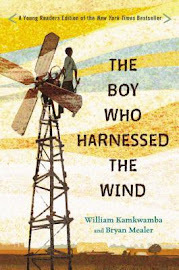 I remember seeing it on your blog as one of your very favorite books. It did not disappoint! Great review. I read this book in the hospital with our last baby, and it was heavenly just to read, read, read for 2 days while only taking care of 1 kid. When I went to review it, I couldn't organize my thoughts well enough to make any kind of unifying remarks. This book makes my mind splinter in all sorts of directions. I feel some closure reading your thoughts, and that's a nice thing. Thank you! Amy, will you please read some Wallace Stegner? You too Sarah. I'm dying to talk to somebody about Angle of Repose, but nobody around me will touch it b/c it's too long. Weak sauce. Crossing to Safety, too. I've read Angle of Repose and it's one of my favorites! Crossing to Safety is on my list to read. I found it at Goodwill so I'll have to wait until I unpack my books to read it. We should talk. I totally agree about the mind splintering! This review took me three days to write because I was having such a difficult time putting it together in my head. Oh yes! Wallace Stegner has been on my list for a long time, too! I would love to read either Angle of Repose or Crossing to Safety (or both!) and discuss! It's been a few years since I read this one, but I just loved it. I would absolutely re-read this one. Just picked this book up at op-shop, would it be suitable for my 14.6yr old daughter?